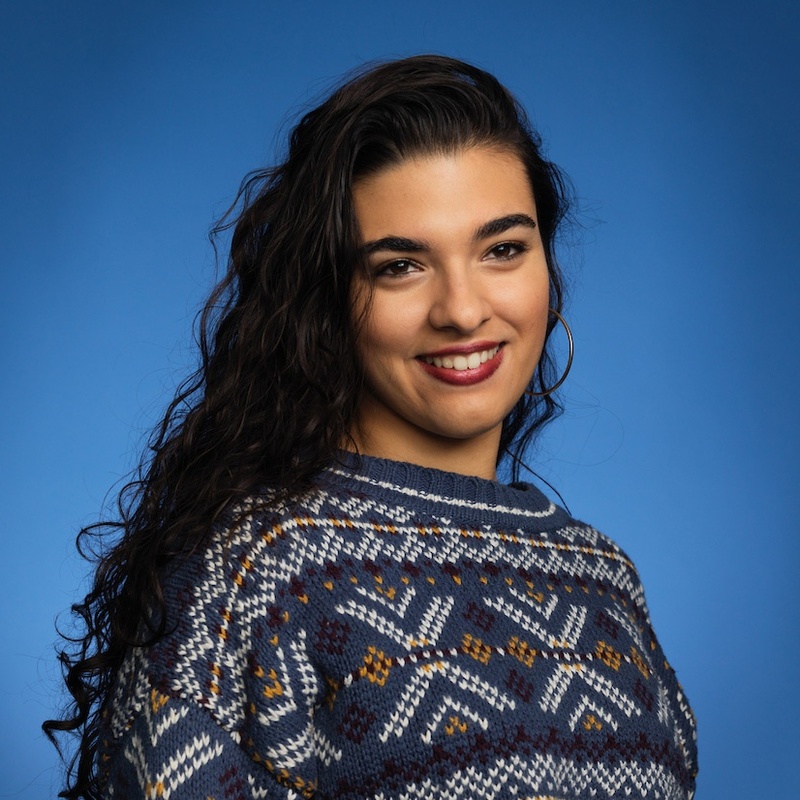 When I got accepted to Mount Holyoke, I was ecstatic because I knew that this dream of mine had come true. However, I was also slightly terrified at the thought of moving to a place that had this concept of “negative degrees.” In Miami, our winters usually consist of a week with 50-degree weather that calls for lots of layers (or what used to seem like lots of layers!). But, I was ready for this change. And I was lucky to know current students and alums from Miami who helped me figure out what I needed to live in a place that experiences all seasons — and who knew where to buy the best gear for the lowest price. Left: Guerra’s first winter ever at MHC! (#shouldhavewornarealcoat). Right: First snow of 2017, in New York City. 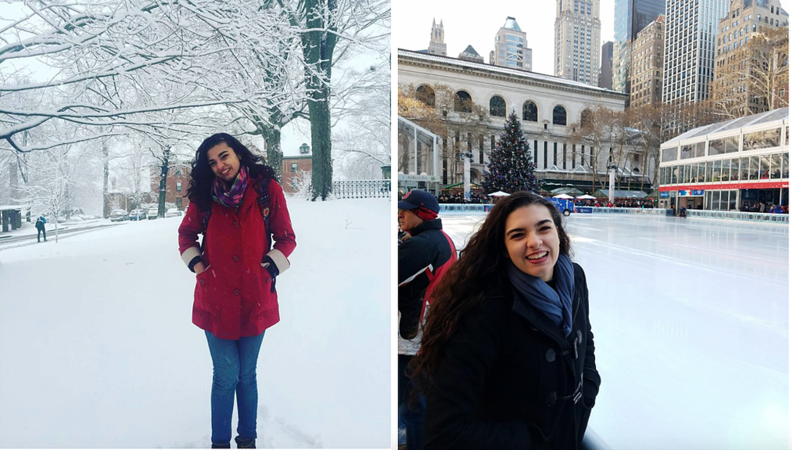 My first winter at Mount Holyoke was… interesting. At first, it was so beautiful. The snow shimmering off the trees around Upper Lake, sledding down the ’Delles hill with friends, and the way the snow felt when it would land on my face, it was unforgettable. But, after the first day, I was just trying not fall with every step I took — as snow is often accompanied by slush, ice and all kinds of slipperiness. There were no frijoles negros or sopa de pollo to warm me up so, I just had to make do with cooking with my friends and my twin sister. This may sound like I was miserable, but in all honesty, I wasn’t. It was just a huge change for me that took a little time for me to adjust to. Luckily, I had my Posse, my other Latinx friends and my sister who all understood what it was like to be away from home. 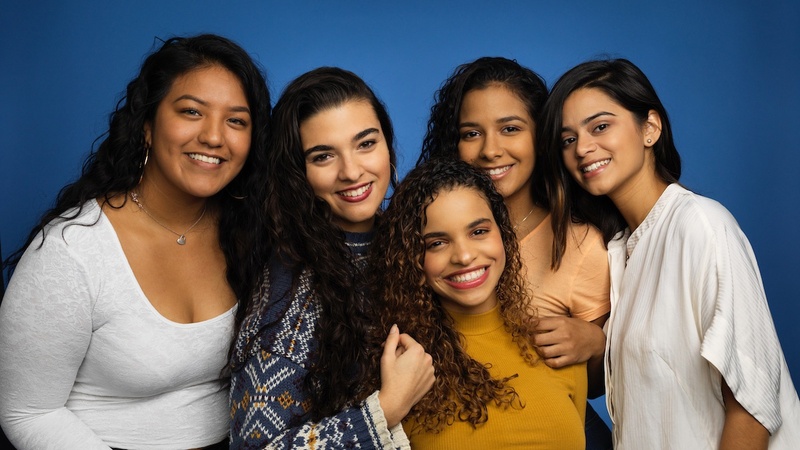 Pictured, from left: Adelita Simon ’19, Virginia Guerra ’19, Yaendy Matos ’19, Zashira Arias ’19 and Crystal Roman ’19. So, for those of you who may be experiencing the same thing, don’t lose hope. 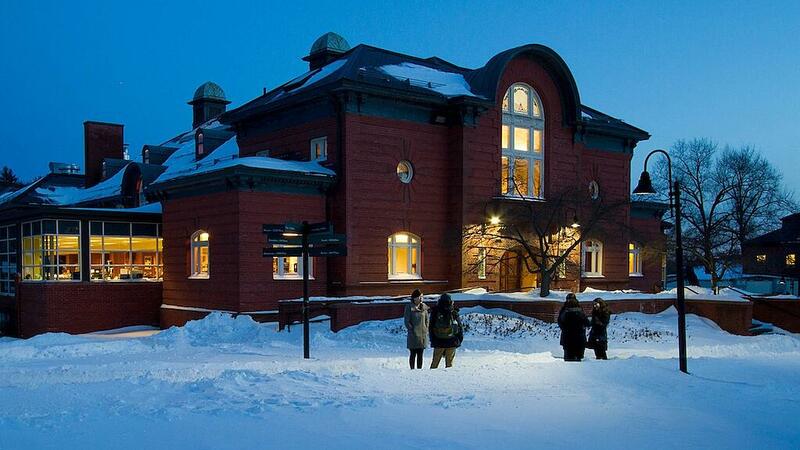 I’m going to provide a few tips to help you get through your winters at Mount Holyoke. Find yourself a good winter coat. You can find really great ones for a low price at T.J. Maxx, Marshalls or Burlington Coat Factory. You may have luck at Goodwill or the Salvation Army, too. Wool socks/gloves: Although this may seem silly, get yourself some warm fluffy socks and gloves. The last thing you want is to feel like your hands and feet are going to fall off because of the cold. Hat/earmuffs/scarf: At some point, you’re going to feel the need to cover up your whole face. You may feel crazy, but just do it. One of the worst feelings of winter is feeling like the wind is throwing ice at your face. Buy yourself a tea kettle. In times when it’s so cold that all you are craving is some tea and netflix, a tea kettle comes in very handy. You can also use it for many other things like hot cocoa and ramen. Take care of yourself. Last but not least, self care is extremely important during the winter. Listen to your body. If you feel like you are getting a cold, get the rest you need. One last piece of advice I would like to give you is that you are not alone. The Mount Holyoke community is there for you. In any season! 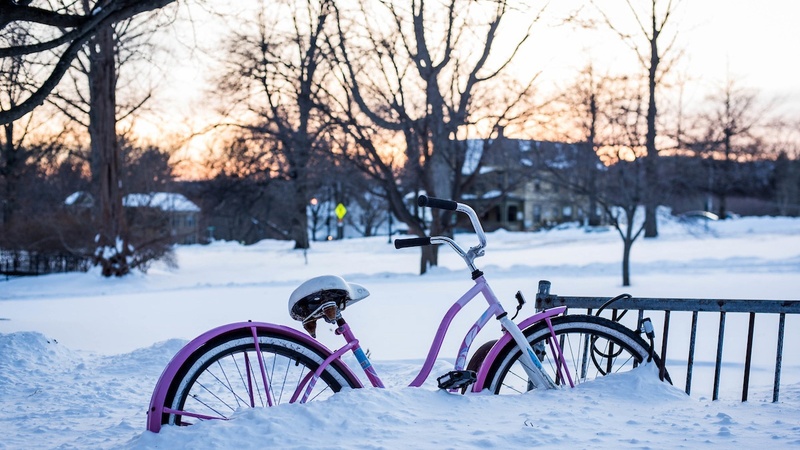 For help in gathering winter items, you can also reach out to the Office of Student Life.